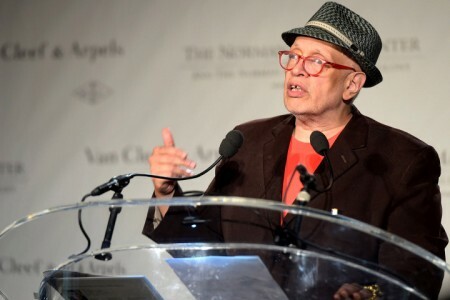 Walter Mosley is tired of hearing how his City College of New York writing teacher, Irish novelist Edna O’Brien, told him to mine his background: “You’re black, Jewish, with a poor upbringing,” she told him. “There are riches therein.” But O’Brien gave him much more than that: “No one needs to tell me I’m black and Jewish,” he says. “Edna said I should write a novel, and I went out and wrote one.” He’s since written about three dozen of them, including a bestselling mystery series featuring a hardboiled detective named Easy Rawlins (“Devil in a Blue Dress”). 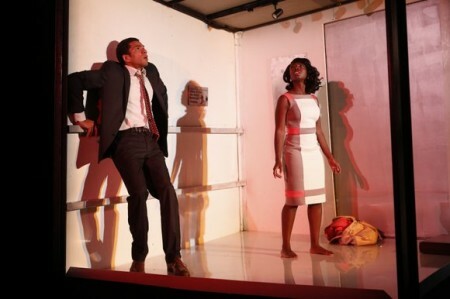 Now Mosley’s making his NYC theatrical debut with his play, “Lift,” at off-Broadway’s 59E59 theaters, about two co-workers’ close encounter in an elevator. Here’s what’s in his library. 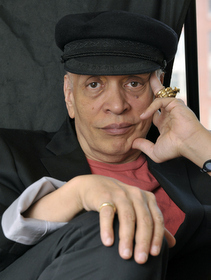 On his return to The City College of New York Friday, November 21, to receive the Langston Hughes Medal, authorWalter Mosley, ’91MA, will reunite with one of his enduring contributions to his alma mater: CCNY’s Publishing Certificate Program (PCP). Mr. Mosley inspired the creation of the program in 1997 to help address the lack of diversity in the book publishing industry. Headed by award-winning author David Unger, it offers courses and seminars to both undergraduates and non-matriculated students to prepare them for careers in publishing. Nearly 300 students have graduated from the program, close to 40 percent of whom have worked in the publishing industry. Mr. Mosley is the best-selling author of more than 40 acclaimed books, which have been translated into 21 languages. He will receive the 2014 Langston Hughes Medal at City College’s Langston Hughes Festival at 6:30 p.m. in the Marian Anderson Theatre in Aaron Davis Hall on the CCNY campus. The Medal is awarded to highly distinguished writers from throughout the African American diaspora for their impressive works of poetry, fiction, drama, autobiography and critical essays that help to celebrate the memory and tradition of Langston Hughes. Read the complete article on the CCNY site.